When News-Press & Gazette acquired KEYT, it was very clear that a major technical upgrade was long over-due. At the time of the acquisition, KEYT was operating in 4:3 SD utilizing an out-of-date Parker-Vision automation system. There was a great desire to go HD as soon as possible, but extremely limited space presented major challenges. Utter Associates was contracted to provide turn-key design and integration services to upgrade the production and news-room environments. An existing audio room was identified as the only available option for a new control room. This required very careful planning for the ergonomics required to make use of the space. A custom console was designed after careful coordination with the local staff. 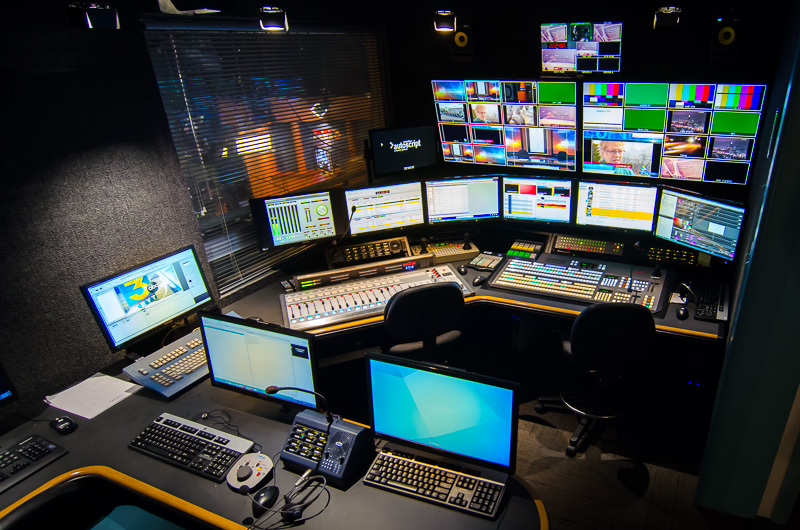 Key technical components include a Ross Carbonite switcher and OpenGear modular equipment, Chryron CG, Harris Broadcast news system with proxy editing, Wheatstone Wheatnet IP audio, ClearCom intercom, and Brocade networking. The cut-over to the new production system was right on time and technically flawless.